The road curves beyond the shadows of the silo. Blue skies, a splendid scattering of clouds, and verdant irrigated farmland -- it is a highly pleasing landscape. 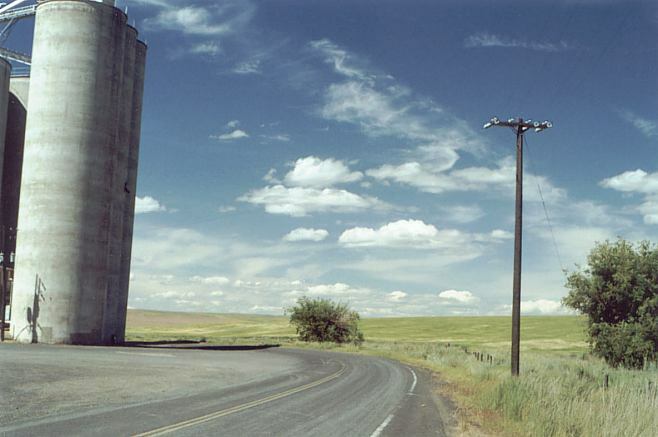 The photo was taken at Almira, Washington, in the mostly unpopulated expanses of the eastern part of the state.